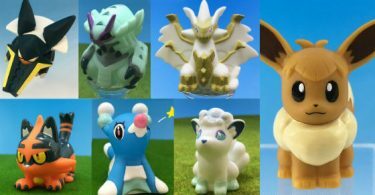 Listings for two different Mewtwo TOMY figures have appeared for release in April 2019. 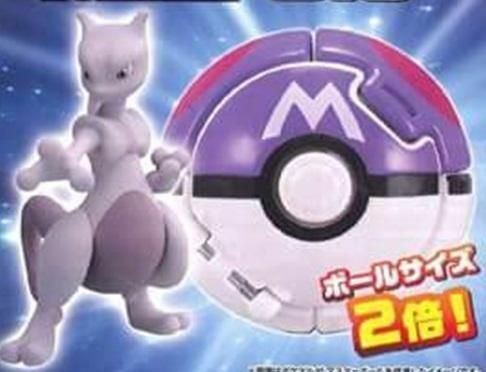 First up is Mewtwo’s addition to the TOMY Moncolle PokeDel-Z line. Mewtwo will come with a special Masterball that is twice the size of other Pokeballs in the Del-Z series. 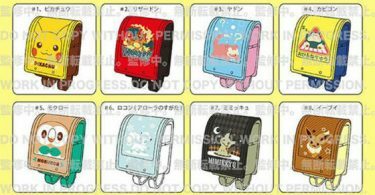 More interestingly, we have a Mewtwo release in TOMY’s regular Moncolle line. It is scheduled to take the EHP 16 slot, replacing Kommo-o. Specifically, the name of the figure is “Mewtwo A,” potentially signaling that it is different from other Mewtwo (and would explain why the figure itself is censored with ?). Only time will tell — keep your eyes peeled for more Mewtwo updates in 2019!